Ethiopia suffers from chronically bad global PR. When the European Council on Tourism and Trade voted Ethiopia as winner of the 2015 Destination of the Year, eyebrows were raised. Yet for those who actually go there, it soon becomes clear that the real question isn’t how did it win? – but rather, why didn’t it win it sooner? 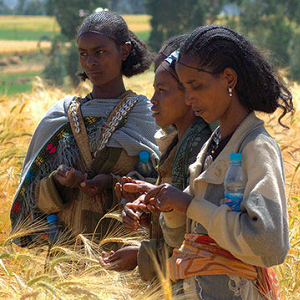 Ethiopia is a fertile, mountainous country. Often referred to as the ‘Tibet of Africa’, it is home to the highest plateau on the African continent, which can be traversed across in the Bale Mountains in the south – an extremely rewarding experience. Completely unique in its landscape, people and culture to the point where Ethiopians don’t even consider themselves African; everyone who visits cannot even compare it to any other destination they have been to before. 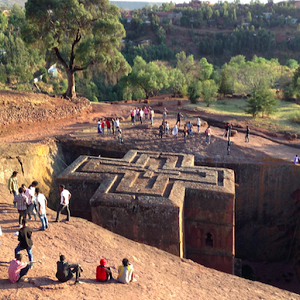 Christianity was introduced into the country in the 4th Century and flourished there like a wild flower in the enclosed highlands; producing the amazing UNESCO World Heritage ancient rock-hewn churches of Lalibela, and other sites hidden up high in the Gheralta mountain chains. Other incredible sites include the ancient walled city of Harar in the far east of the country. A melting pot of cultures as Africa’s historical trading hub with Arabia, you can feed wild hyenas at the city limits and try chewing the regional stimulating khat leaf. The Simien Mountains in the north are perhaps the most sensational of all the ranges. 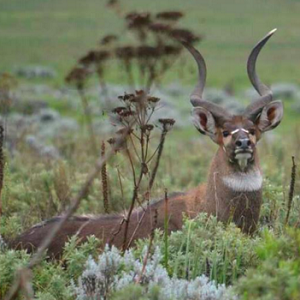 Home to the country’s highest mountain Ras Dashen at 4550m, endemic Gelada Baboons and Walia Ibex wander between the towering ambas of rock that rise up from a scenery spectacular in its unimaginable vastness. We believe that the best way to experience a country is to walk through it, and have carefully designed tours that give you the very best that this country has to offer. Come and experience the warm hospitality of a kind people in a wild land, where real life adventures happen everyday.